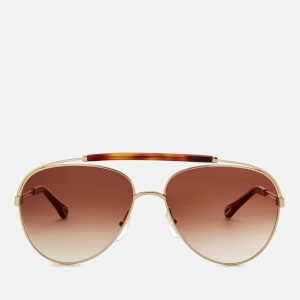 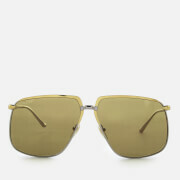 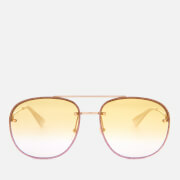 Contemporary square frame sunglasses from Gucci’s eyewear collection with oversized gold-tone metal-alloy frames and graduated brown lenses that offer broad spectrum protection. 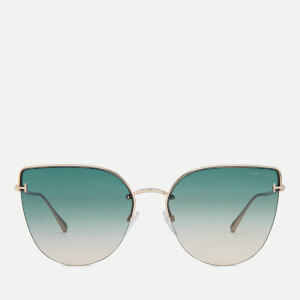 The thin frame and integrated bridge are accentuated with enamel stripes in the brand’s signature colours. Silicone nose pads provide enhanced comfort for all-day wear. 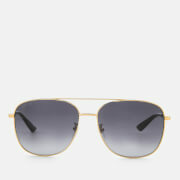 Fitted with slim metal temples accentuated with soldered interlock 'G' monogram detail and tipped with curved, pearlised acetate ear pieces. Complete with Gucci branding discreetly etched to the right lens.